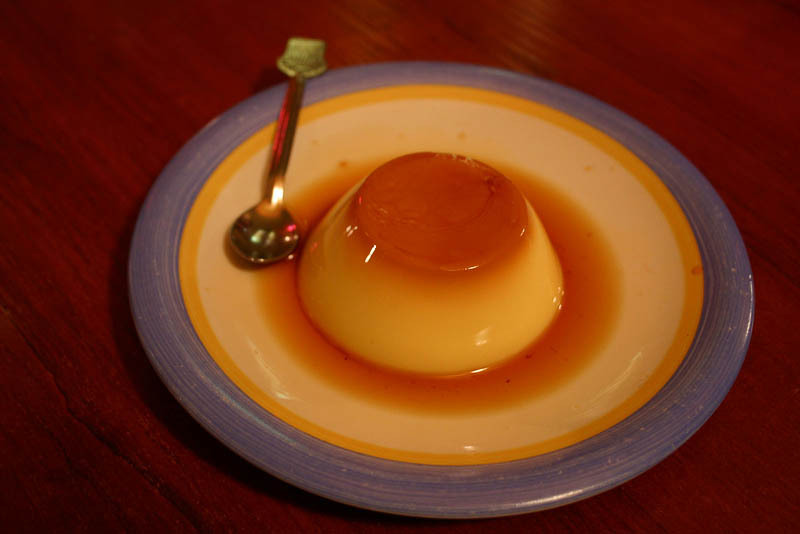 Caramel custard and caramel sauce in dish with little spoon on table. Sweet food. Tasty delicious French cream dessert.